Definitions are not merely a means of establishing clarity; rather, they shape the field in which a concept is understood, measured and evaluated. Definitions of violence against women establish what acts are perceived as violence by a society and which are not, which acts come into the remit of the law and which go unrecognized, and who is perceived as a legitimate victim or perpetrator. It is therefore essential that researchers and activists working in the area of violence against women and girls (VAWG) adopt clear definitions that adequately recognize the variety, scope and impact of violence on women and girls, their families, communities and societies. This paper examines contributions to understandings of violence from a number of disciplines which have shaped and informed the most common conceptualisations of VAWG today. Though a review of existing literature demonstrates a growing understanding of the complexity and interconnection between types of violence, contexts and consequences, nevertheless this paper suggests gaps remain in terms of our conceptualisation and understanding of the impact of VAWG, including the cumulative social and economic costs of multiple experiences of violence across the individual life-time. 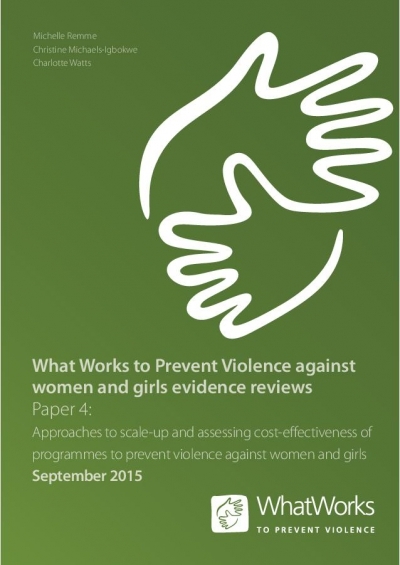 This is the fourth in a series of four evidence review papers produced by What Works to Prevent Violence Against Women and Girls, a £25 million global programme funded by the UK Department for International Development which seeks to understand and address the underlying causes of violence across Africa, Asia and the Middle East. This paper reviews the evidence found on the cost and value for money of interventions to prevent VAWG, as well as on approaches for scaling up such interventions. 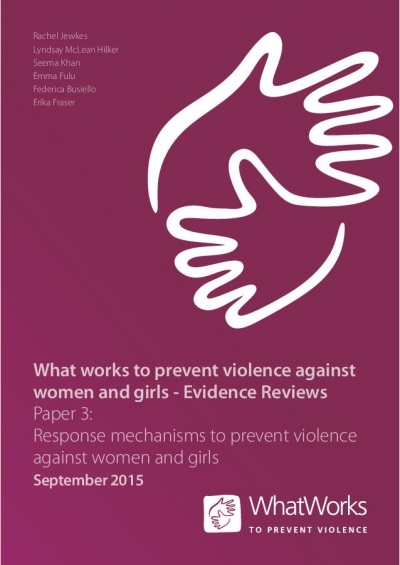 This is the third in a series of four evidence review papers produced by What Works to Prevent Violence Against Women and Girls, a £25 million global programme funded by the UK Department for International Development which seeks to understand address the underlying causes of violence across Africa, Asia and the Middle East. VAWG responses mechanisms have, for the most part, been developed and deployed with the primary goal of providing improved support services to women and girl survivors, through strengthening the response of the police and criminal justice system, and the health and social sector. An assumption is often made that strengthened response mechanisms will also lead to a decrease in rates of violence. For example, a victim of intimate partner violence may be less likely to return to an abusive relationship following their interaction with and support from the health and social sectors. This paper examines the evidence base on the effectiveness of response mechanisms in preventing the re occurrence of VAWG, a key question in the field of violence prevention and concludes that widely held assumptions have not yet been proven, and indeed further research is needed. 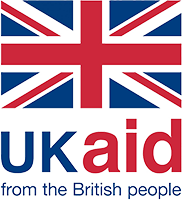 This is the second in a series of four evidence review papers produced by What Works to Prevent Violence Against Women and Girls, a £25 million global programme funded by the UK Department for International Development which seeks to understand address the underlying causes of violence across Africa, Asia and the Middle East. This evidence review identifies some of the most effective interventions which promise to reduce VAWG through targeting the key risk factors for violence perpetration and experiences. 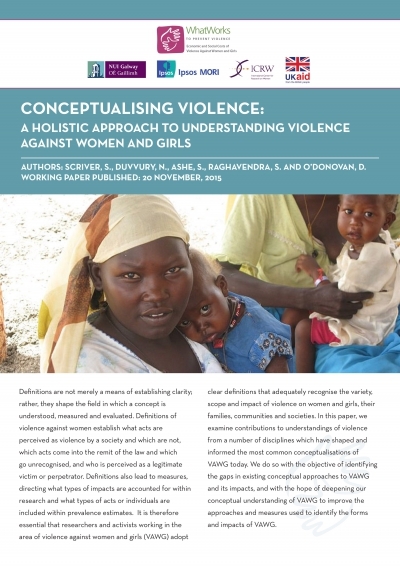 This is the first in a series of four evidence review papers produced by What Works to Prevent Violence Against Women and Girls, a £25 million global programme funded by the UK Department for International Development which seeks to understand address the underlying causes of violence across Africa, Asia and the Middle East. 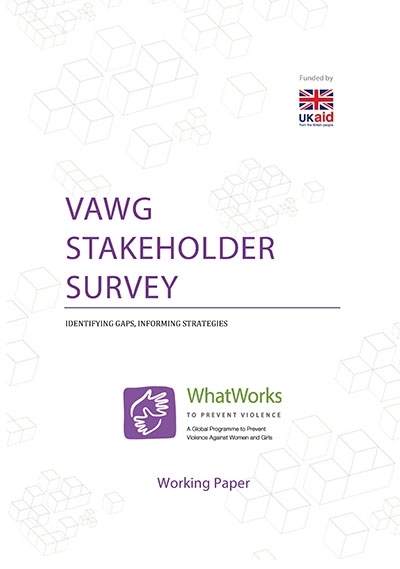 This paper outlines the current knowledge base regarding the issue of VAWG and identifies where the evidence base needs to be expanded in order to inform more sophisticated interventions and make a real impact on the prevalence of VAWG globally, in the hope that this information will be used to drive current policies and programme as well as future endeavours. This report presents the findings of a global survey of 309 violence against women and girls (VAWG) stakeholders, including practitioners, policymakers, researchers and activists. The anonymous online survey was completed between August-September 2014, with the link sent out through various VAWG networks, listservs and Twitter contacts. The survey aims to help the What Works to Prevent Violence programme learn how best to communicate findings to key stakeholders, by generating information on knowledge and understanding of primary prevention and perceived barriers to evidence-based prevention. These findings will be used to directly inform and advance the What Works to Prevent Violence communications and research uptake strategies.